A fixed cone valve is referred to the inverted cone plunger valve. 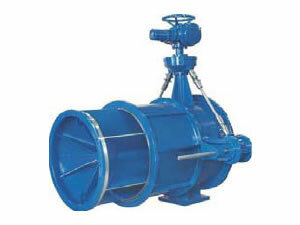 Due to its excellent energy dissipation effect, it is also called energy dissipation valve. It is often used in spillways of dams or hydroelectric facilities. Also known as Howell-Bunger valve and Hollow Jet valve, the cone valve is a rugged and highly dependable liquid control valve which can accurately modulate flows under extreme velocity, pressure, and temperature. Fixed cone valve is simple in basic configuration, and made up of three primary components: actuation mechanism, plug and body. This energy dissipation valve is usually used as bypass valve or discharging valve. It is installed in the exit of pressure piping. Fixed cone valve is widely applied to water treatment and transmission, wastewater treatment, dams, steel industry, process plants, refineries, stream power plants, hydroelectric power plants, pump stations, wind tunnels, hydraulic test facilities, etc. 1. The flow coefficient of our fixed cone valves can reach 0.86. 2. Flow capacity varies from 0 to 340000 m3/ h.
3. Nominal diameter of our energy dissipation valves varies from 200 to 2000 mm. Nominal pressure ranges from 0.6 to 2.5MPa. 4. 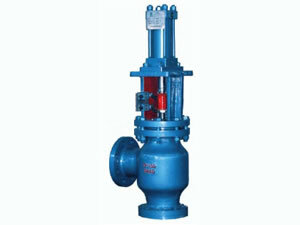 The fixed cone valve has excellent anti-cavitation performance and low vibration. 5. The Howell-Bunger valve adopts linear flow adjustment. 6. This energy dissipation valve uses double sealing to ensure good sealing performance. 7. You can choose manual, electrical or hydraulic driving mode. Corroco International Industrial Co., Ltd is a professional manufacturer and supplier of fixed cone valves (Howell-Bunger valves) in China. In addition to this energy dissipation valve, we also produce other water valves, such as sleeve valve, butterfly valve, needle valve, etc. With 12 years' production experience, our products have been exported to the United States, Canada, Britain, Germany, Iran, Pakistan, India, Kuwait, Dubai, Saudi Arabia, the Philippines, Malaysia, Singapore, Congo, Turkey, etc.